The Bauer College Alumni Association (BCAA) will close out a successful Spring 2012 season of one of their signature events, a monthly breakfast networking series, on May 17 with featured speaker Swift Energy Company President Bruce H. Vincent. Vincent, who has been with Swift Energy for over 20 years, has served in a variety of strategic positions, including the position of executive vice president for corporate development and secretary. Over the company’s 32-year history, Swift Energy has shown long-term growth in its proved oil and gas reserves, production and cash flow through a disciplined program of acquisitions and drilling, while maintaining a strong financial position. Each fall and spring, BCAA holds monthly breakfast events that allow alumni to network and hear from some of the city’s top executives. The breakfasts are held on the third Thursday of each month at Houston City Club from 7 to 8:30 a.m. For more information on BCAA events, click here. To register for the May 17 BCAA breakfast featuring Bruce H. Vincent, click here. 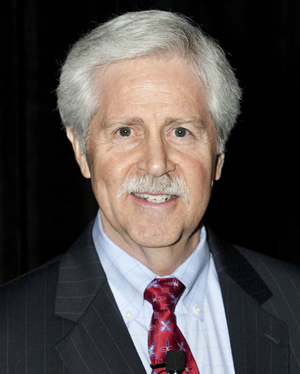 Bruce H. Vincent has been President of Swift Energy Company since November 2004 and a member of the Board of Directors of the company since 2005. He also serves on the Board’s Executive Committee and has been employed at Swift since 1990. Swift Energy Company, founded in 1979 and headquartered in Houston, engages in developing, exploring, acquiring and operating oil and gas properties, with a focus on oil and natural gas reserves in the onshore and inland waters in Texas and Louisiana. Vincent is the immediate past Chairman of the Independent Petroleum Association of America (IPAA) and is a member of the Board of the National Petroleum Council, and immediate past Chairman of the Natural Gas Council. Vincent is also a member of the Board of Directors of Theatre Under the Stars (TUTS) in Houston and an Advisory Director and former Chairman of Big Brothers Big Sisters of Greater Houston. He is also past Chairman of IPAA’s Oil & Gas Investment Symposium (OGIS) in New York and London, past Chairman of North American Prospect Expo and past Chairman of the Investment Program Association. Vincent served as a Naval Supply Officer from 1969 to 1973. He earned a BA from Duke University and an MBA in Finance from the University of Houston.